Many well-documented changes occurred in the media with the advent of the Internet, Google and Facebook. Something else that occurred was the invention of the podcast, a far-reaching format that allowed for many voices to be heard, but of great importance was a particular group of people outside the mainstream who gained traction. 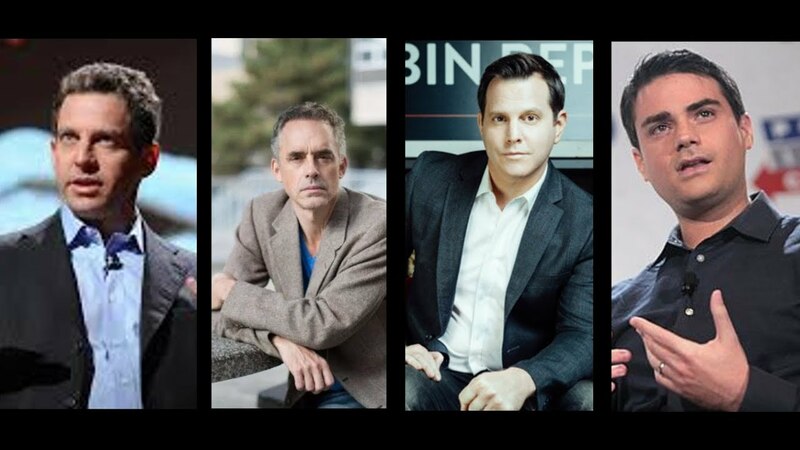 This loosely aligned group, semi-ironically named the Intellectual Dark Web by Eric Weinstein, is made up of people from across the political and professional spectrum, unified by their observance to and desire for the preservation of free speech. 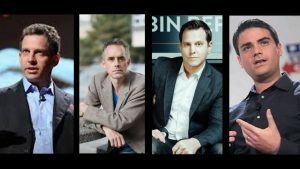 Members of the IDW include Shapiro, Jordan Peterson, Sam Harris, Joe Rogan, Claire Lehmann, Douglas Murray, Ayaan Hirsi Ali, Jonah Goldberg, Eric and Bret Weinstein, Dave Rubin, Christina Hoff Summers among others who have fallen afoul of traditional institutions. What is alarming is that the ideas they discuss were not considered ‘dark’ or alternative to mainstream 10 years ago. Simply acknowledging the biological differences between men and women, entertaining those whom disagree with you and refuting the intersectional politics that have crippled Western societies is enough to be heretic in this “progressive” age. The importance of the podcast to some of the IDW is that they are outside the editorial controls of traditional news media, so they can publish and discuss topics at will. There is less of a filter between the speaker and the listener. Some use profanity, some are partisan, others take their time to elaborate an idea or connect to previously disparate ones. It is authentic. Just as important is that there are no restrictions on running time, content discussed or guests invited. For example, The Joe Rogan Experience runs for three hours allowing great depth on concepts and issues that might only have a 20-second sound bite or five-minute report in a news cycle. Facebook, Google and YouTube have been documented using their algorithms to discriminate against these people, which is why the IDW are not solely reliant on these major companies to be noticed. People subscribe, companies advertise and podcasts are relatively cheap to produce. The Rubin Report began in Rubin’s basement and relied on Patreon donations to grow his podcast to the behemoth following it has today, but he still films from his basement. It is evident these people are being noticed. The next question is why? On Sunday, Eric Weinstein was on The Sunday Special with Ben Shapiro podcast (full video below), where he detailed why he believes this format is so popular. “The institutions are out of control,” Weinstein said about the government and media, among others. These issues are Trade, Immigration and Islam. “The news media are not representing these issues accurately. The gated institutional narrative depended upon there being very few outlets to challenge what the major thematic narratives would be,” Weinstein said. The Intellectual Dark Web has proven a trustworthy and robust challenger so far to traditional news media.